Secret Recipe in making decal customs more legit? Hey guys, newbie heree. Im just starting to make decal customs and realized that the decals i made looks very paper-ish. Do you guys have a secret recipe for it to look more legit? likee it really looks like it has been printed? Hi Over the course of the past month I've been learning the basics of LDD, LeoCad and Blender to make a Minifig portrait of friends. My first attempt turned out pretty good, so I've decided to do some more for other friends and family. I use LDD to make the models, then export to LeoCad to tweak and then export to Blender to render the final image. The first couple have gone okay, but I've hit a problem that I can't get around. I've searched the web and mostly this forum but as a novice I may be looking in the wrong place. Exporting from LDD there are some pieces that are not in the LeoCad library. I've tracked down some pieces and added to my library successfully, but it seems some head and torsos are missing and I can't find them anywhere. (See image below) How can I get around this? Any help would be greatly appreciated. Should Lego use Dry Transfer or Water Slide Decals? With the reveal of the new UCS Snowspeeder today, I saw a lot of people complaining about the inclusion of so many stickers. I began to think about it, and found it a bit strange how the Lego community so adamantly hates stickers, since in other modeling communities decals are common place and accepted parts of the model building process. I've had some model kits before which include stickers and water slide decals, and choosing either or is optional. While it could be argued that water slide decals or dry transfer decals are even more difficult to apply than stickers, when done properly the results are spectacular and can even be made to like as if the decal was "printed." 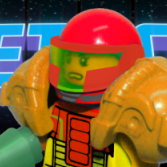 While Lego is obviously meant for kids and probably won't embrace more complex decal sheets, would having them as an option be something AFOL's would want to see? I am pretty sure plenty of Lego customizers are using them already, but I mean having decals such as dry transfer or water slide in official sets as an option for a more professional look than a sticker. I don't know if they would withstand rough play, but for an AFOL looking to display the model, they would be a great alternative. For those who don't know what a dry transfer decal or a water slide decal is, here are some examples of how they work: Dry transfer: http://www.ghostofzeon.com/diy/drytrans/dry.html Water slide: http://www.model-train-tips.com/blog/57/the-art-of-applying-decals/ Thoughts? Hello there! I already opened two threads in here about decals, but with the evergrowing amount of designs that I do for Star Wars and a few other franchises, I thought it would be wiser to make a thread where I can show all of my work in a single place. Maybe a few of you find some of my designs useful? I try to make mostly original design, but sometimes, I do imitate the officially released minifigs. Also, some decals are specific requests that I got, like adapting characters to different styles or make specific changes to certain designs. I hope you enjoy them! Lando Calrissian – Cloud City Lando Calrissian – The Force Awakens Era (based on a Lego Star Wars animated series) Captain Antilles – Tantive IV Galen Erso – Lah'mu Farmer Outfit Grand Admiral Thrawn – Fixed Rank Insignia Nien Nunb Ahsoka Tano – De-Cloneified Padawan Look You can also view my collection of selfmade decals on my decal site. As I mentioned, I also do requests as long as I like them and feel like accepting their challenge, so don't be shy to ask if you need anything Star Wars related! Since I do post my finished designs on my website, I may not update this opening post with new designs; however, I will post it in here when I finish a new decal, so make sure to check the end of the thread and/or my blog website if you wanna be up to date. Currently, I have four additional decals in the works: TCW Admiral Yularen, TFA Luke Skywalker, Cassian Andor und Poe Dameron With Jacket. I've seen many custom clones that use decals but the legs are posable legs. I tried asking some but they tell me its a trick of the trade and magicians don't revival their tricks. From what I hear there are 2 methods, I can only find a guide for the one that says put sticky tape on top. And that dosn't work the best. Any one wanna help me by passing on a trick of the trade to a young padawan? Is there any LEGO digital designing program available that allows for reasonably simple addition of custom decals to all parts? I'm trying to decorate parts like 11477. Hello everyone got a few designs I want to show off and get some feedback. So with out further ado let's show off some of my creations. Octan gas worker suit. Based off my late Grandfather who was a gas truck driver long ago. Syd Enoch's shirt. A bit of promotion for the game I'm developing with my team Terrier Games. Yes that is a Rope belt. A personal decal as this is my T-shirt. That is Plokman's. So what do you guys think so far? I'm not 100% on line thickness so advice on that would be welcome. More to come as I make em. So, I've seen people saying; "Man, I really wished I had a minifigure of Lowery, the cool guy with the Jurassic Park t-shirt in Jurassic World!" Well guess what. You can have him. That's right, for my first ever decal design, I have designed Lowery's torso! Below will be the torso decal for you; just copy it in to a word document and it should be the correct size. 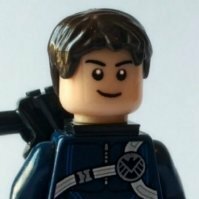 Print however you like to make your minifigure and you'll have your very own Lowery! Please post pictures if you do use it, and make sure to comment how I can improve my decal designs! ----- Here's my test with the decal! My printer is rubbish, so imagine what you could o if you have a quality printer! Hi there, I've been looking everywhere for some high quality sticker paper for customizing minifigs. 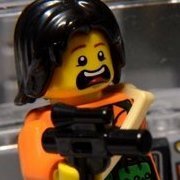 I'm seeing in videos and pictures everywhere that people are using clear sticker paper on minifigs, but they're not waterslide. I've searched all over the place, and I haven't found out anything about it. Not even the Eurobricks search function can shed some light on this! Anyways, I'm hoping to find some that are reasonably priced, high quality, easy to apply, and work with an inkjet printer. I don't really like the idea of waterslide decals because it seems to take a lot of skill and time commitment, both of which I really don't have much of. While white paper seems to do well (especially since you can't print white), but I'd prefer to use transparent (obviously I'd need white paper when I would need to print bright colors also, so yes, I guess I am going to need both white and transparent). I have been hearing a lot more recently about "labels". What are they? Is it just another name for a decal or sticker? Or is it literally using the materials that were originally meant for labeling for minifigure customization? Or is it something different altogether? I've seen professionals online use transparent stickers amazingly. TheCooperWorks and those old BrickForge decals from a few years back have proven that sticker paper is a suitable alternative. So please, if there any reasonably priced, high quality, easy to apply decals that work with an inkjet printer that you know of, I'd love to hear about it. EDIT: Now also with HUFFLEPUFF TORSOS! Hello Eurobricks! Geertos13 here, I don't post a lot in the customization usually, but I thought this was worth it. While working on my new Harry Potter Brickfilm, (which hum hum.. can be checked out ...) I wanted to get everything look quite pro, and I've been always been sort of a purist, so for my little Hogwarts students, I didn't want to go for decals, so I looked around the net, and except for Smallgreenpeatoys' ravenclaw and Hufflepuff torsos that don't look that good, I went looking but couldn't find anything good! And then I found poppunkmunkys store, now before you all get mad, cause I saw that he got quite some hate on here, I thought his quality was really good. He also offers a printing service for a 5$ per torso if you order five torsos of the same printing, perfect for custom armies, Ooorrr Hogwarts students for that matter! So I present to you, the first ever, Ravenclaw and Hufflepuff printed torsos! I only ordered some Ravenclaw ones first, as I didn't know what to expect, but the printing came out great, colorfull and crisp, so I soon ordered Hufflepuff torsos as well and below is the result! Behold, the front and back together below : Here is a comparison picture with the other two official houses, as I said, Hufflepuff to come soon. Finally, here is a picture that actually features a figure I bought from the store itself, based on the Hufflepuff quidditch team, also highly detailled, crisp and accurate: Special thanks goes out to lego3x11l who was willing to design new customs for me. Tin7creations' decals vanished from the internet quite a while back, and he made his own, new ones, if you want you can check em out here What do you think of those custom Ravenclaw torsos? Absolute win or epic purist fail? Want one yourself? Go ahead on order one here. Figure'd I'd start a topic for my customs. Why not? Mr. Spock by Borador1, on Flickr A.L.F by Borador1, on Flickr "You've redecorated!" by Borador1, on Flickr ... More on my Flickr. Enjoy! These minifigures were made for my space comic. After Blacktron was destroyed many groups tried to raise up and take control of the planet. One of these bands were Xenfar... This is the standard grunt: The decals didn't come out as well as I hoped, but oh well. He has back decals as well. I also made female soldier decals. Notice how the uniforms have different numbers on them. The whole band. As they are but rebels at the moment, with no rich benefactor, they use whatever weapons and helmets they have available. Thanks for looking, C&C appreciated!